I chose to display this Hanky Dress in a double sided acrylic see-through frame because of the delicacy of the crocheted edge. 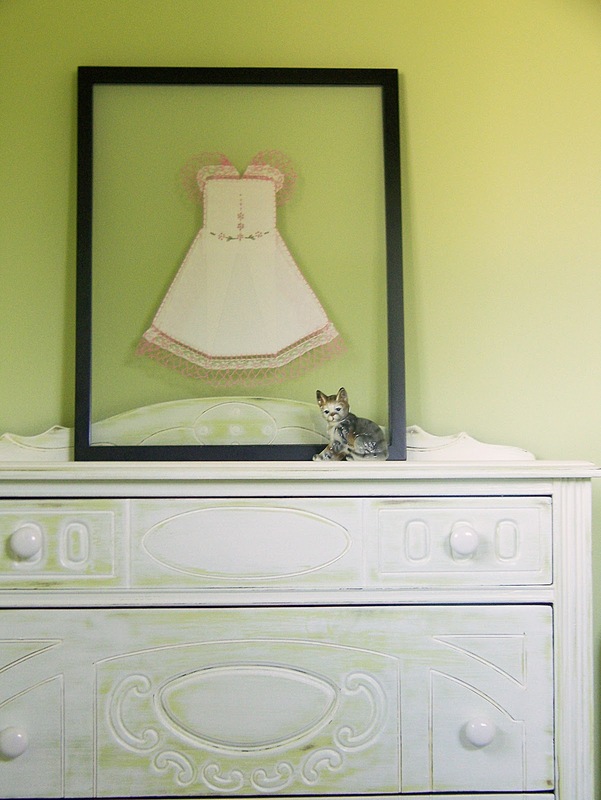 I like the way the color of the wall and the detail on the dresser shows through. 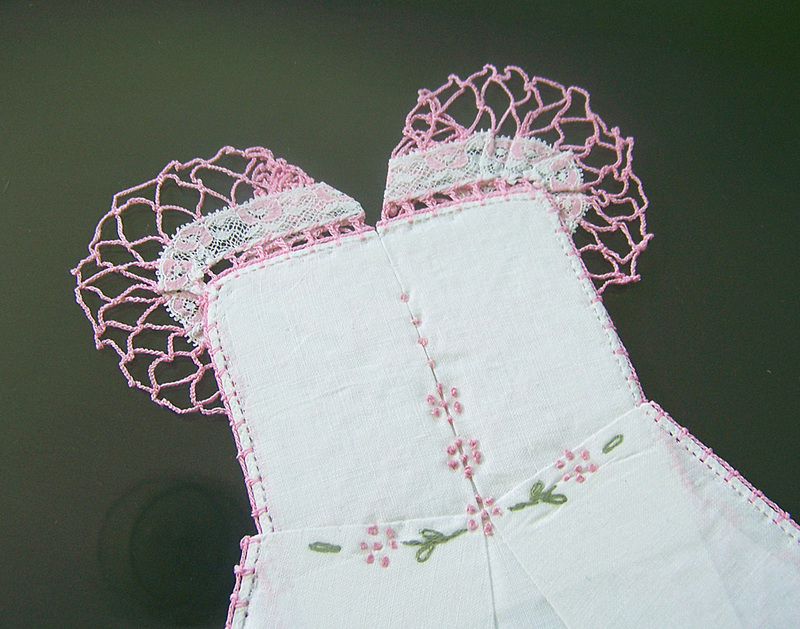 Embroidery adds a nice bit of detail on the bodice. I placed a piece of black fabric underneath so you could see the delicate detail.